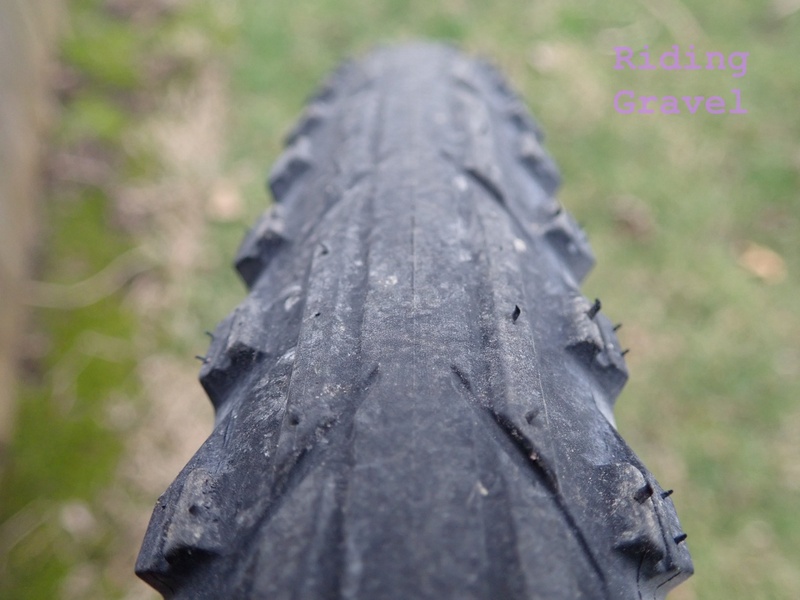 The Tioga Binary gravel tire features a different take on gravel going tires. 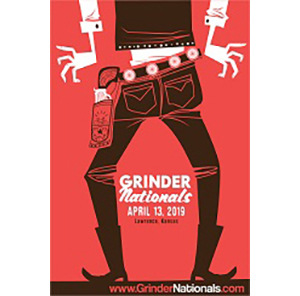 Here you get a good look at those aggressive side knobs. The Binary is not a tubeless tire and that may seem silly in 2019. However, Tioga is going to eventually come out with a tubeless version sometime in 2020. 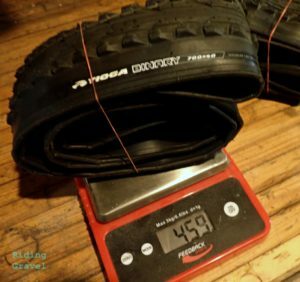 While that may disappoint some of you, keep in mind that tubed tires are often lighter, and in this case, less expensive. The Binary will retail at an MSRP of $35.00 Stateside. Speaking of weight, the Binary clocked in at 453gms and 459gms each. The casings are 60TPI, (hot patch is incorrect on this pre-production sample set) Claimed width is 40mm. They have folding beads, obviously, and they feel like well made tires. First Impressions: The mounting with tubes was quick and easy on the Easton EA-70 rims/wheels we have on test. I installed the wheels with the Binary tires on my Black Mountain Cycles MCD model bike. The initial test rides on pavement did prove that the Binary rolls very easily. It was also apparent that the ramped side knobs helped to make the transition from straight up to leaned over in the corners a bit less jarring of an experience than you may think. In fact, only a slight rumble through the bars is the only thing I noted. Confidence in cornering on hard surfaces was high. By the way, after several days of riding the casing measured out between 40mm-41mm on the tires. While the Binary showed great promise on hard surfaces, I wasn’t convinced the tread would be great out on the gravel. Once I got the chance to try it out though, I wasn’t let down. I wasn’t totally blown away either. The tire felt less “alive”, if that makes sense, and I am attributing that to it being tubed. 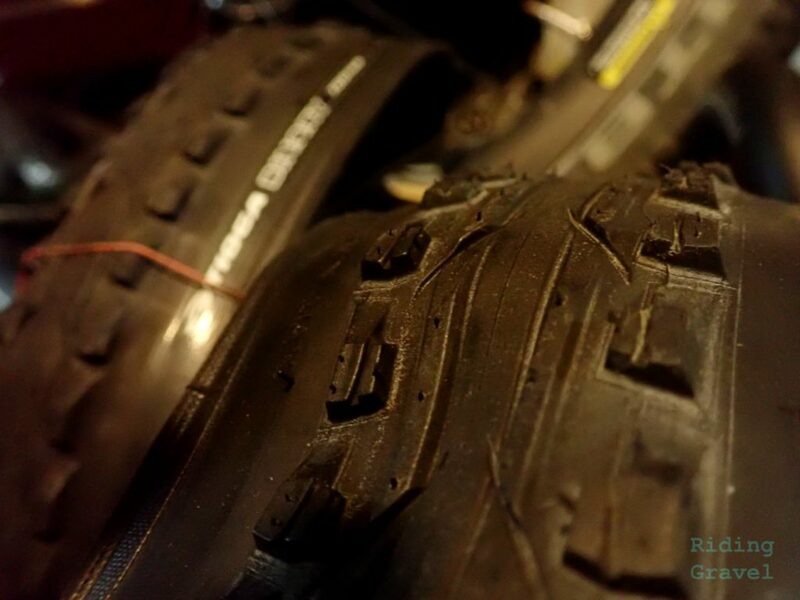 To make sure I wasn’t just being flippant, I have been running another tire I am familiar with tubed and after back to back rides, in my opinion, the Binary falls a bit short of the mark in ride quality and maybe even in traction over loose terrain due to that tube in there. I felt it in the other tire as well and so I think that there is something to it. The Binary presents itself to the road as a slick. Now that isn’t to say that the Binary isn’t a good tire- it is. But I have been running tubeless exclusively for several years now on my gravel bikes, so having a tubed tire again was an odd situation and it does feel different. If all you’ve ever run is tubes, you won’t know the difference. I was able to use the Binary over some softer mud and slop this Spring. The promise of more traction than you’d guess is true and I found that those big side blocks do a good job of clawing through the muck. As long as the tire can sink in a bit to engage those knobs, it is good. Another thing that this tire does well is that it sheds mud quite nicely. But you’d expect that since there really isn’t much there for mud to hold on to. It’s not a mud tire though, just to be clear. However; if you happen to find the mud, it sheds it well enough. 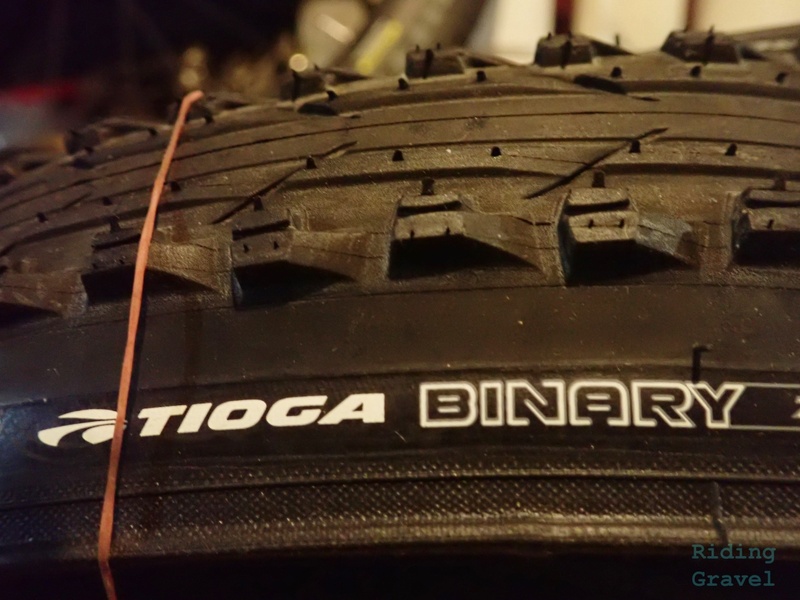 While the Tioga Binary isn’t necessarily a “mud tire”, it deals with the muck better than you might expect. 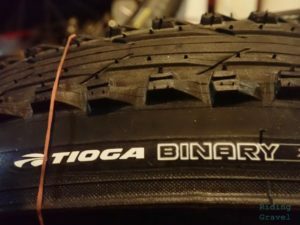 So Far…..The Binary is an unique looking tire which has a fast, smooth center matched to a row of aggressive looking side knobs along the edges. The tire does roll fast and smooth on pavement or harder surfaces. It has more traction in loose or muddy areas than you’d guess, as long as the side knobs get engaged in the action. While it is not yet offered as a tubeless tire, it does have great performance traits and is a good choice for those who are not dedicated to tubeless only use. In the next post we will learn more about the Binary’s gravel performance. Stay tuned for the “Checkpoint” post coming in a few weeks. 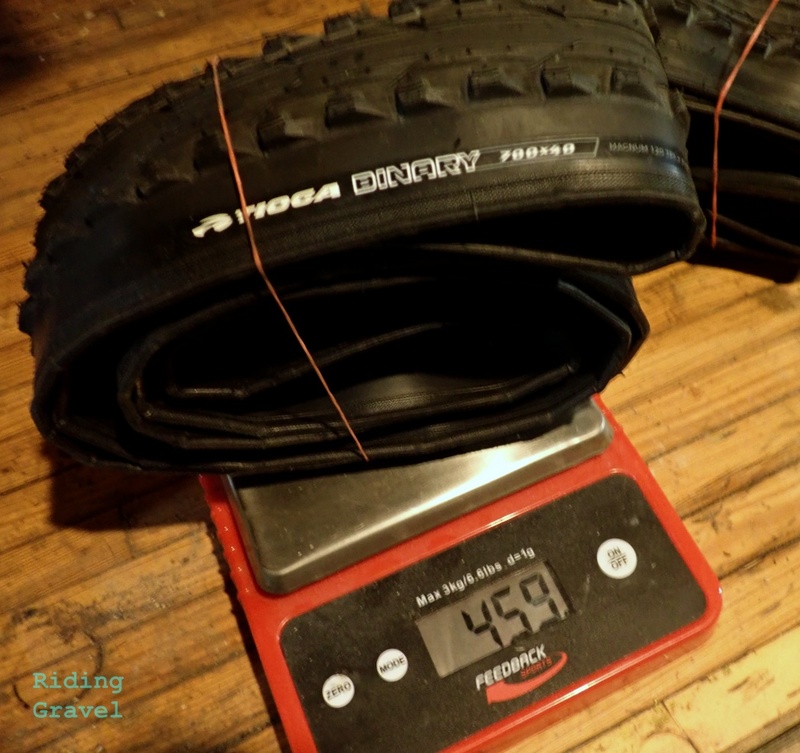 Note- Tioga sent the Binary tires for test andreview at no charge to RidingGravel.com. We were not paid, nor bribed for this review and we will strive to give our honest thoughts and opinions throughout.